Eine flotte Mädels-Pop-Single legen die vier hier auf den Weg: Handclaps, Retro-Samples, Chants, den Dubstep nur angedeutet - die Frische überzeugt - sie hören wenigstens auf Mutti! Good for what it is, although it sounds very similar to Ricki Lee's Can't Touch It. Catchy, but a bit weak for a debut single. Much much better than Cannonball. I'm liking the vibe here. Ganz nett, mehr nicht. Little Mix eben. Eingängige Pop-Nummer, hätte nicht erwartet, dass mir diese Single gefallen wird. Upon first hearing this, I was completely disappointed. I enjoyed the fun-pop sound that worked well with their voices, but it wasn't the exciting music I imagined they would release, in hopes of reaching the potentials of being the next Spice Girls. After further listens, I can't deny how much I love this. It's pure pop perfection, with great lyrics and memorable melody that will stick with listeners outside their usual fanbase. It's actually a great debut single, and after watching the music video, it's good to see which route their heading down. I can actually picture them becoming the next big girl band. The only criticism I have is I really wanted a more R&B sound that would suit Jesy's voice and follow along the TLC/Destiny's Child sound that Jade and Leigh-Anne stated would be best suited to Little Mix as a band. Extrêmement surpris ! Titre au message encourageant et qui émane une pêche contagieuse ! J'en redemande ! Have waited before reviewing this one. Taking this as their first single and a signal of intent after the standard coronation #1 single.<br>I find the song ticks all the right boxes but when comparing it to other debut girlband singles for example 'Wannabe' or 'Sound of the Underground' this isn't really that strong or makes a major first impression on me. <br><br>25 weeks in the UK top 100. 2nd UK top 10. 107,000 sold while at #1. Their second UK#1. <br><br>UK#1 (1 week) and Ireland#1 (1 week). US#79. <br><br>600,000 copies sold in the UK. Sehr flott, aber auch recht aufdringlich für mich. Gefällt mir zumindest beim ersten Hören nicht wirklich. Nein, lieber Hitparade-Moderator, bei uns wird dieser Song nicht durchstarten. Darauf verwette ich meinen Allerwertesten. Love this now, so damn catchy. Good track - quite dynamic!<br><br>Sounds like a mix of Ricki-Lee and Beyonce tbh. Not my sort of thing (on this occasion anyway). Getting major '00s pop flashbacks. I like that the melody changes up basically every 10 seconds though, as it certainly confirms that it doesn't 'completely' sound like anything I've heard before. Gosh it's catchy too! I'm not sure what to make of this. It's a catchy song, but there's something about the band that is minorly offputting. I don't know. It starts off sounding like Cher Lloyd as the first soloist sounds a lot like her. Then it starts to sound like Ricki-Lee. Then Beyonce. And then as I start to listen to it closer it starts to sound a lot like Gia Farrell's "Hit Me Up" from Happy Feet. All of which I like, so I always was going to enjoy this, but I enjoyed it a lot more than I thought I would. Giving it a 6* because it's probably my favourite song at the moment and the fact that it's extrememly catchy.<br><br>Love the film clip too. Catchy enough, and the build-up briefly reminds me of the melody of 'Don't Stop The Music'. Overall not bad. Quite good! Impressed at the harmonisation of their voices in the chorus and the variation in the drumming between different choruses keeps it interesting. The change from the minor to major key also during the chorus is quite special, and executed well. Little Mix are terrible, they're just a slightly better, updated, and more successful version of Belle Amie. In short, a second X Factor clone of Girls Aloud, the Saturdays, etc. This song isn't much better, totally generic. This is alright very catchy - but some of the vocals are grating which is unfortunate. When I first heard of them I went... oh dear a girl version of One Direction (they were formed from failed soloists to win The X Factor in the UK). But they are actually quite decent and this song is cool! They have a future! <br><br>Edit: 6* its an awesome track. Their link with One Direction (Perrie is dating Zayn Malik) probably helped its run to #3 but kudos to them. Niet slecht, maar ook niet top! Net 4 sterren! 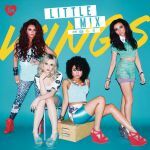 ▒ Oeps, troep van de Britse meidenband "Little Mix", voorheen "Rhythmix", uit eind juni 2012 !!! In de kliko ☺!!! Really cool catchy fun pop song. A very deserving peak and I thought it would get to number one. Such a shame it dropped from that peak so quickly. Don't understand why they're being called the female One Direction as they are much better than them and are a lot more interesting than them. I don't think that Perrie dating Zayn had anything to do with it charting high here. That comment is ridiculous. If anything, it was the promotional performences they did when they were in Australia for a couple of days which brang on more radio airplay.<br><br>Anyway. Alright track. DNA and Change Your Life are better. Etwas unvorteilhaft produziert, dafür sind aber die Vocals sehr überzeugend. Knappe 4. Great debut single. I didn't really love it at first, and I wanted to get into it, but I love it now. So glad it had a high peak and I'm really glad it got to #1 in the UK. Bislang deren erfolgreichste Single. Ob sie das toppen können? Ich befürchte nicht. Abgesehen von Großbritannien und Irland, hatte der Song kaum Erfolg in Europa, was ich allerdings merkwürdig finde, da die Nummer ganz gut klingt. Het eerste nummer van Little Mix na hun overwinning bij X Factor in 2011. Ik vind het een erg lekker en opzwepend nummer, maar erg commercieel klinkt het niet. Ik denk dat dat ook de reden is dat het nummer weinig heeft gedaan in de hitlijsten. Gefällt mir ausnehmend gut. Knackiger Girly Pop der ermutigenden Art. Groovt phantastisch.